BOSTON — NOVEMBER 14, 2018 — Recorded Future, the leading threat intelligence provider, announced today that CRN®, a brand of The Channel Company, has recognized Recorded Future with a 2018 CRN Tech Innovator Award. These annual awards honor standout hardware, software, and services that are moving the IT industry forward. In compiling the 2018 Tech Innovator Award list, CRN editors evaluated 300 products across 34 technology categories using several criteria, including technological advancements, uniqueness of features, and potential to help solution providers solve end users’ IT challenges. Recorded Future took top honors in the Threat Intelligence/Protection category. Working across six continents and 22 industries, including finance, healthcare, tech, and retail, Recorded Future is the only unified threat intelligence solution on the market, identifying threats to organizations up to 10 times faster than competitors’ solutions. Unlike other products, Recorded Future centralizes and customizes proprietary and internal threat data with external threat intelligence. It provides unprecedented analysis of the broadest and most comprehensive set of open and closed feeds, internal risk lists, and internally generated analyst notes — all in one view. Recorded Future allows clients to view information from high-value sources alongside dark web and technical intelligence, together with client-specific intelligence. According to independent research, it identifies 22 percent more threats before impact and helps resolve security incidents 63 percent faster. Over the past year, Recorded Future has enhanced its offerings. 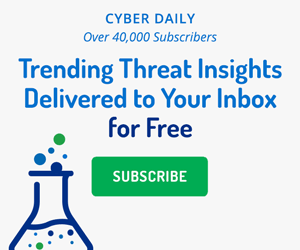 It expanded its machine learning-powered threat intelligence to give analysts and security operations centers access to analyst-originated intelligence assessments on threat actors, vulnerabilities, malware, and other indicators of compromise, as well as in-depth, finished intelligence customized to their needs. The company launched Recorded Future Connect, a global technology partner community that offers a range of external threat intelligence, enabling security professionals to proactively map applicable threats and add dynamic, real-time intelligence to traditionally static security functions. Recorded Future also began offering takedown services of fake accounts, apps, and websites as part of its brand monitoring offering. The Tech Innovator Awards will be featured in the December issue of CRN and can be viewed online at https://www.crn.com/rankings-and-lists/ti2018.htm. Request a demo of Recorded Future at https://go.recordedfuture.com/demo. The Channel Company enables breakthrough IT channel performance with our dominant media, engaging events, expert consulting and education and innovative marketing services and platforms. As the channel catalyst, we connect and empower technology suppliers, solution providers and end-users. Backed by more than 30 years of unequalled channel experience, we draw from our deep knowledge to envision innovative new solutions for ever-evolving challenges in the technology marketplace.